Greater integration with primary care is integral to achieving our vision to improving patient outcomes. A primary care committee has brought together key stakeholders in primary care and provides an opportunity for enhanced primary care collaboration, integration, innovation, communication and leadership. Priority areas have been identified including e-referrals and linkage of data and alignment of current activities across the Partners is underway. 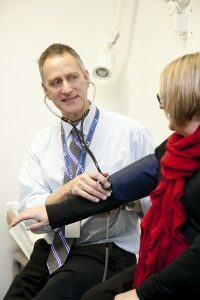 If you would like to know more about Monash Partners work around Primary Care, you can read more here.